Mama T is a passionate advocate of using sustainable practices to grow food organically and use food as medicine. “Ancient ways in modern days” is her motto. She came to Hawaii 12 years ago from San Diego on a singing tour. She quickly fell in love with the islands, the people, and the Aloha way of life, and feels very blessed to call Hawaii home. She teachesFood as Medicine classes throughout the islands and owns her own pop up restaurant open every Friday, called Mama T’s Ital Kitchen. 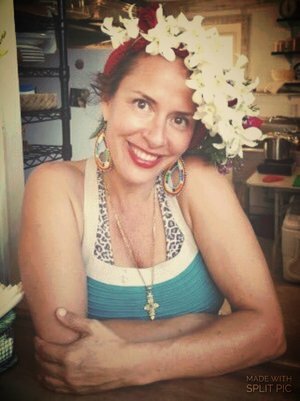 She’s a private chef for celebrity clients and feeds the houseless once a month at the Next Step Shelter in Kaka’ako. Mama T has a background in early child development and directed inner-city youth programs in San Francisco and San Diego. Her passion is to teach healthy ways to eat and live and advocates that choosing native foods free of pesticides or processed with chemicals is imperative for sustainable health.